Pineywoods Home Team Affordable Housing, Inc. is a full-service housing development organization which specializes in providing safe, clean, affordable and accessible housing opportunities to low-income citizens of a 31-County area in Rural East Texas. Pineywoods Home Team was formed in 1995 through Pineywoods RC&D, and received its Charter as a 501(c) (3) Non-Profit organization in September of 1996. 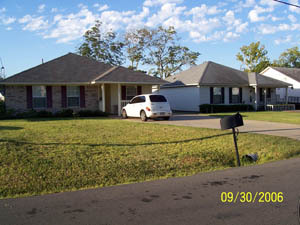 To contact Pineywoods Home Team call (936) 637-7607. 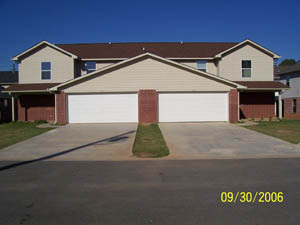 Orange - This past year, we completed construction of 36 single family units in Orange, TX known as Orange Phase 1. Silsbee - Assisted the city of Silsbee in developing an advisory committee to address the economic development needs of their community. PHT also helped the city design their disaster management plan. PHT has also purchased 47 acres in Silsbee to build 170 single family homes, along with a demo house which will be the first Green Built hurricane resistant panelized home in that area. PHT is assisting local doctors and the Renascence Corporation in the preliminary structure of a new hospital/emergency care facility. PHT donated funds to Silsbee High School media department to assist students in developing commercials and news reports relating to the redevelopment of Silsbee. Lufkin - PHT worked with the Local Initiative Support Corporation (LISC) in the Hurricane Redevelopment Initiative to provide affordable housing (i.e. transitional housing) for victims of domestic violence by working with the Womens Shelter of East Texas. PHT will build 26 single family units in Lufkin by 2009.